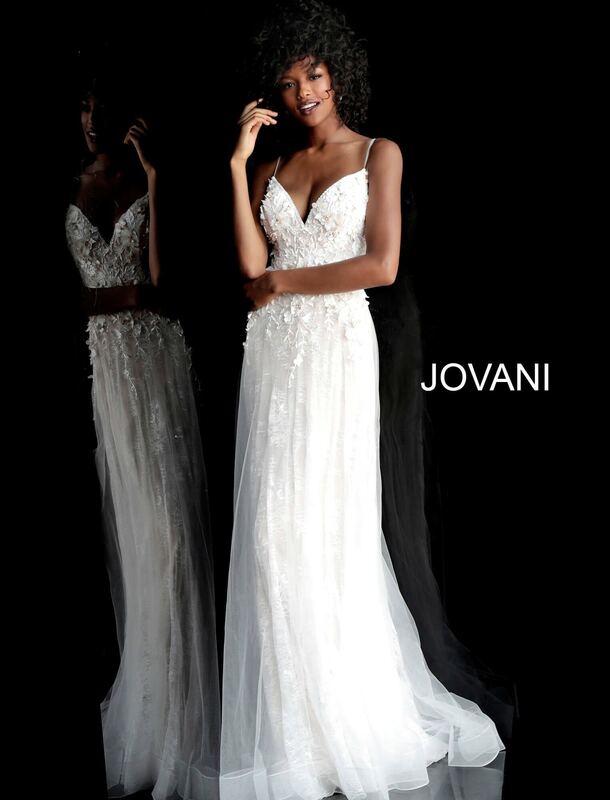 Look like a princess while wearing this wonderful Jovani 67033 tulle dress. This dress has a v-neckline with an open back. There is a flower embroidery around the bodice of the dress. There is a lace underlayer and the tulle fabric gracefully falls on top of the lace. This dress will allow you to look like a princess. There is a zipper enclosure.